Betfair offers a 100% cash match bonus up to £100*. Powered by playtech, Betfair has over 180 different games including over 20 themed jackpot games from sports-themed games like Frankie Dettori’s Magic Seven to movie franchises such as The Avengers. Betfair offers a 100% bonus up to £100 (minimum deposit of £10) and comes with 45x wagering requirements which must be met within 7 days. Usual terms such as, new customers only, 18+ but also Betfair apply weighings to certain games (such as 50% to blackjack and roulette) so the 45x wagering requirements are likely to be more onerous if you play games other than slots & arcade. Also note this bonus is not available to customers using Moneybookers/Skrill or Neteller as a payment method. 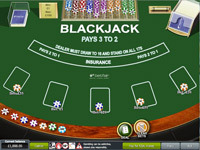 Betfair features over 180 games including over 20 jackpot games which cover all the classic card & tables games worth caring about and includes a few low edge variants such as Blackjack Switch and some lesser known Far Eastern games, such as mah-jong and tenwa. 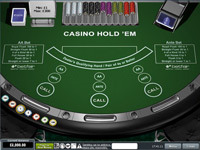 There are over 70 slots games including the popular Rocky, X-Men, King Kong, The Avengers etc. Ironically, arguably the best slots games on Betfair are actually on the arcade portion of their site instead of the casino software. There is just something extra fun about the slots games like Monopoly which will temp you over. As such wagers on these arcade games will not count towards your casino bonus and you have to move money between your Betfair e-wallet in order to play them. Betfair uses an integrated wallet system meaning you only need one account to play on their betting, poker or casino sites. When you deposit money it goes into a general wallet and you then move the money into your casino wallet. Their payment system accepts all the usual banking methods and even Paypal. Withdrawals are very fast taking less than 3 days in our experience (using debit card). While Betfair offers 24/7 support by email and phone, they haven’t provided a freephone number which lets them down slightly. Their customer service staff are excellent however and makes up for the cost of the phone call.